What is DULDUNG* (suspension of deportation)? What do “tolerated” persons have to endure in Germany? 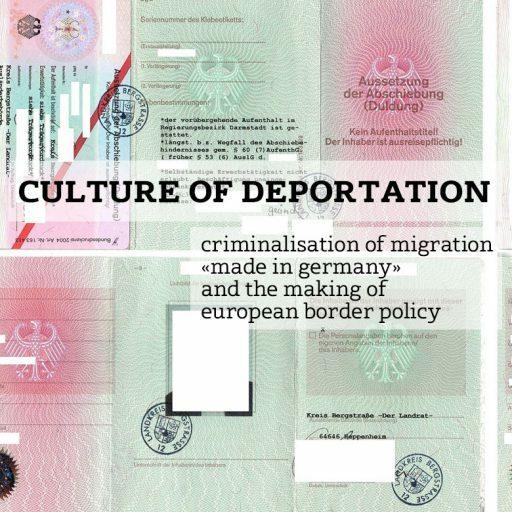 What does the “obligation to collaborate” with one’s own deportation entail (MITWIRKUNGSPFLICHT*)? How does the German immigration administration feed hate propaganda against foreigners when it refuses work permits from the “tolerated”? Salomon Wantchoucou (Refugee Movement Sachsen-Anhalt) was interviewed in Wittenberg, Germany April 17, 2015.